There are a number of important reasons as to why we've Gone Green at Ace Depot and our affiliate companies. The most significant being that preserving the world's natural resources is the responsibility of every individual both at work and at home. Who? What? Where? When? Why? And sometimes, HOW? Going Green has been an incremental process here at Ace Depot. As with many other business efforts, there will be easily attainable action steps and more advanced requirements. It is impossible to say how far along the Green path any business should travel, but a focused effort can have a meaningful impact. But, we're proud to announce that we've recently completed installation of our brand spankin' new SOLAR PANELS. There has never been a more appropriate time to Go Green. Its value is recognized more so than ever before. 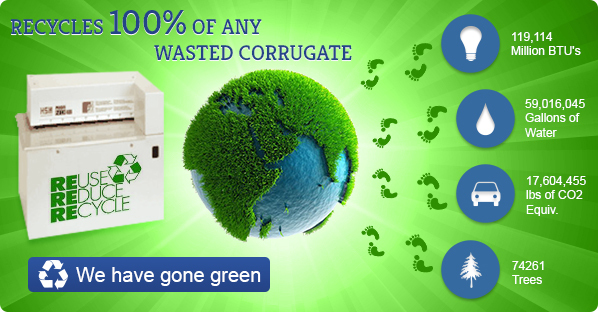 So, show your support of our Going Green Initiative by shopping with us! Once again, we thank you for your business!